A calibrator can either be to a primary or secondary standard. A Primary standard is an instrument that bases measurements on direct, measurable linear dimensions that will not change over time, or be altered by temperature or atmospheric pressure, such as the soap bubble flowmeter range. Secondary standard devices base their calibration upon primary standards and may be affected by temperature, atmospheric changes and mishandling. They can be used to obtain accurate, reliable measurements of pump flow rate if their calibration can be traced to a primary standard and they are handled with reasonable care. 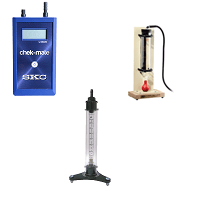 SKC also offer a calibration service for your air sampling pumps. Simple to use electronic air flow calibrator that meets the accuracy requirements of the current HSE sampling method for dust/particulates - MDHS 14/4. Simple to use secondary standard calibrators available in many flow rate ranges to cover a broad range of air sampling applications. Simple to use primary standard calibrators, available in two flow ranges. 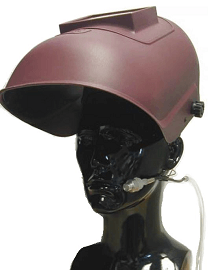 A range of accessories to aid the calibration process.